We are a leading professional passive fiber optic manufacturer and exporter from China. 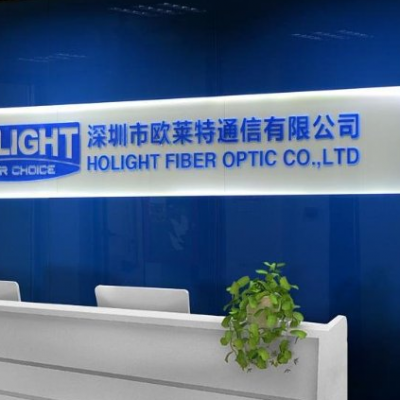 As one of the professional manufacturers of optical fiber technology and fiber optic communication product, we are focus on producing fiber optic connectors, fiber optic patch cords, fiber optic adapters, Fiber Optic Attenuators, FTTH Terminal Box and so on passive fiber optic product! We have been putting a lot of investments to keep pace with industry standards. With high-quality raw materials, advanced manufacturing equipment, and highly skilled workers, we ensure every piece of our products is of excellent quality, good packing and the fastest lead time. Because we fully understand our success is dependent on our customers’ satisfaction, we are always ready to try our best to maintain the customer’s loyalty. You can truly count on our commitment to excellence. Our company name “Holight” is made up of Honesty, Belief and Righteousness, we will always keep this management mode in our mind! By this strong mode, we are confident to make our company remain invincible in the intense market competition and keep developing, growing and marching towards success and splendor. Please kindly feel free to browse our website, if you are interested in any of our products, please do not hesitate to contact us for more detailed information, and we will be highly appreciated to hear from you, it’s our great honor to be on service of you! Looking forward to cooperating with clients from both home and abroad.